New Delhi (Sputnik) — India Ports Global Limited has taken over operations at the Shaheed Behesti port at Chabahar, India's Ministry of External Affairs said after the first meeting of the follow-up committee for implementation of the trilateral Chabahar Agreement between India, Afghanistan and Iran. "It agreed to finalise at the earliest the protocol to harmonise transit, roads, customs, and consular matters. 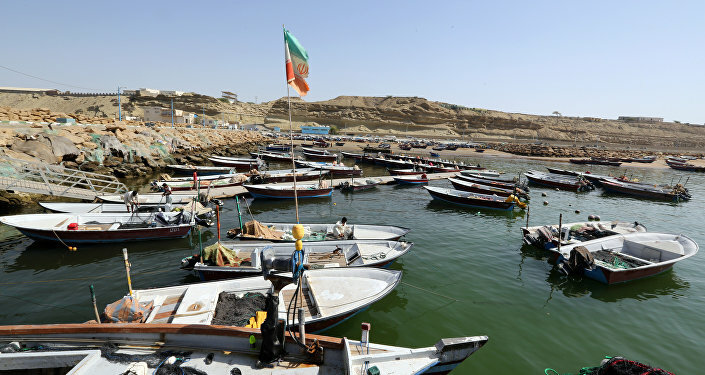 It was agreed to allow cargo movement at Chabahar using TIR Convention provisions," a statement issued by India's Ministry of External Affairs reads. During the meeting, the trade partners decided to hold an event to promote and popularise the potential of Chabahar on 26 February 2019. Also, the sides agreed to initiate a study for determining measures to make the route attractive, decrease logistic costs and pave the way for smooth operationalisation of the Chabahar agreement. India Ports Global (a 60:40 joint venture between Jawaharlal Port Trust and Deendayal Port Trust) and Aria Banader Iranian Port signed a deal in May 2016 to equip and operate the container and multi-purpose terminals at Shahid Beheshti — Chabahar Port Phase-I with capital investment of $85.21 million and annual revenue expenditure of $22.95 million on a 10-year lease. Cargo revenues collected will be shared by India and Iran as per an agreed formula.